Hosting a Halloween party? Or attending a costume party? 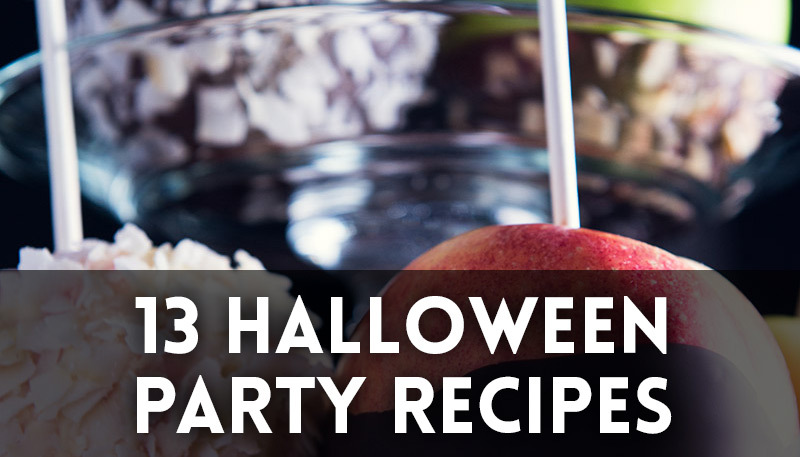 Serve one of these Halloween-inspired recipes and no one will know it’s Paleo! 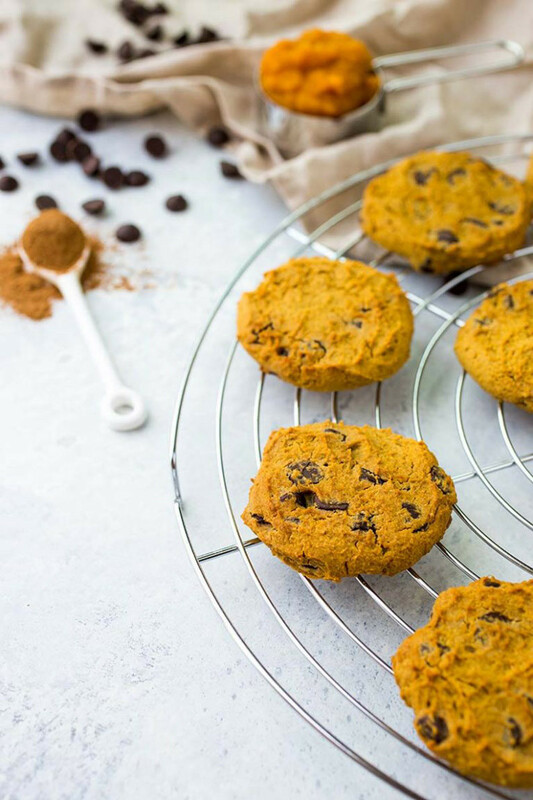 If your kids or workplace is hosting a party, skip the refined sugar-laden sweets and bring one of these treats for you and everyone else to enjoy! Happy Halloween! 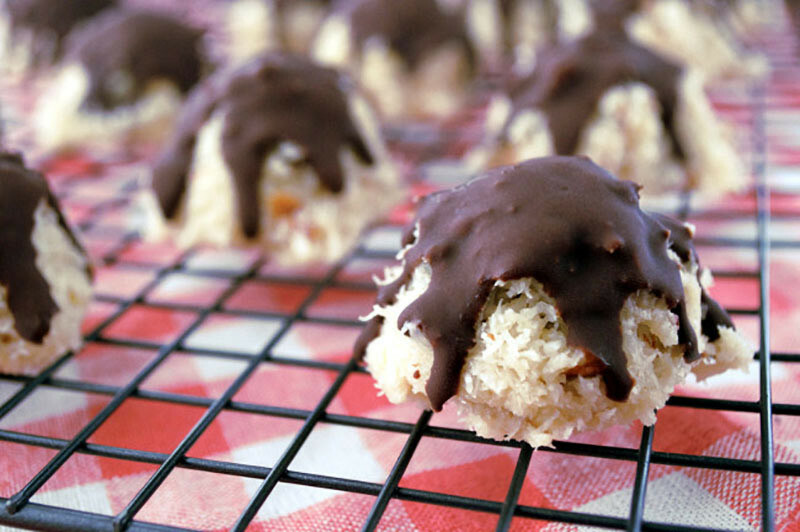 Almond joy bites made dairy-free and refined sugar-free. Yum! Pumpkin-filled bites for a sweet little treat. 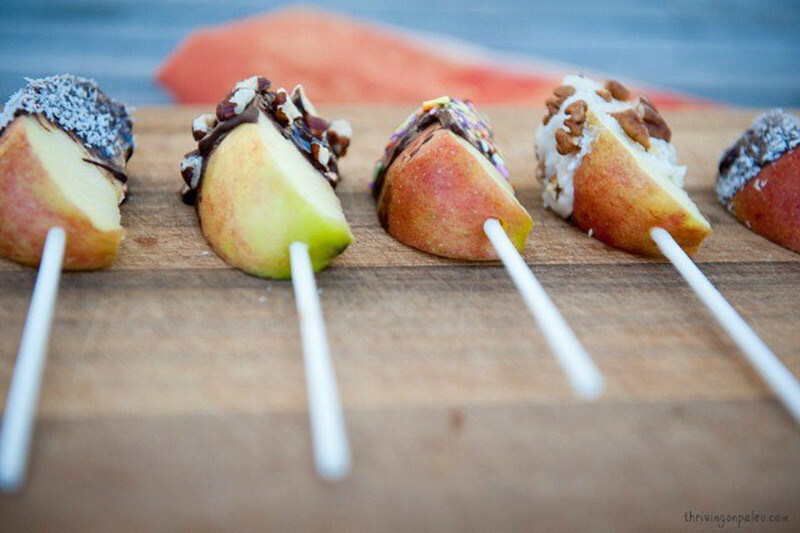 Switch out those ‘pops and put a chocolate covered apple on a stick, instead! 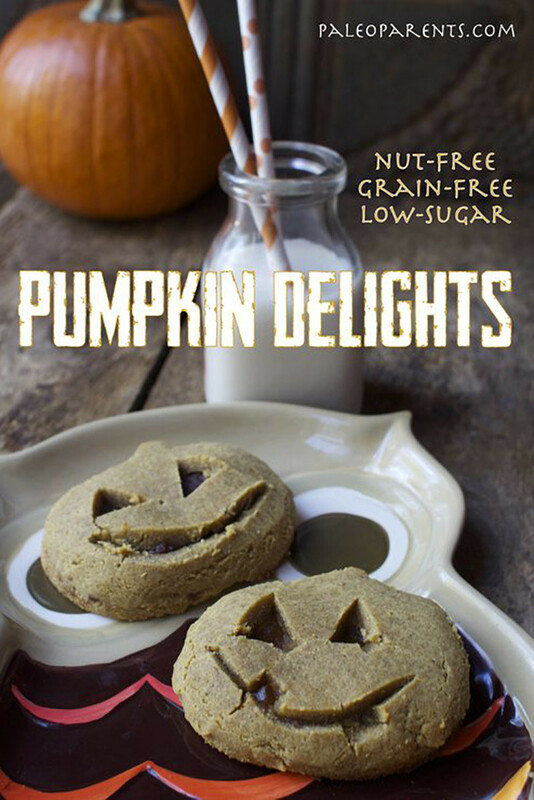 These pumpkin cookies would be great to bring to a Halloween party! 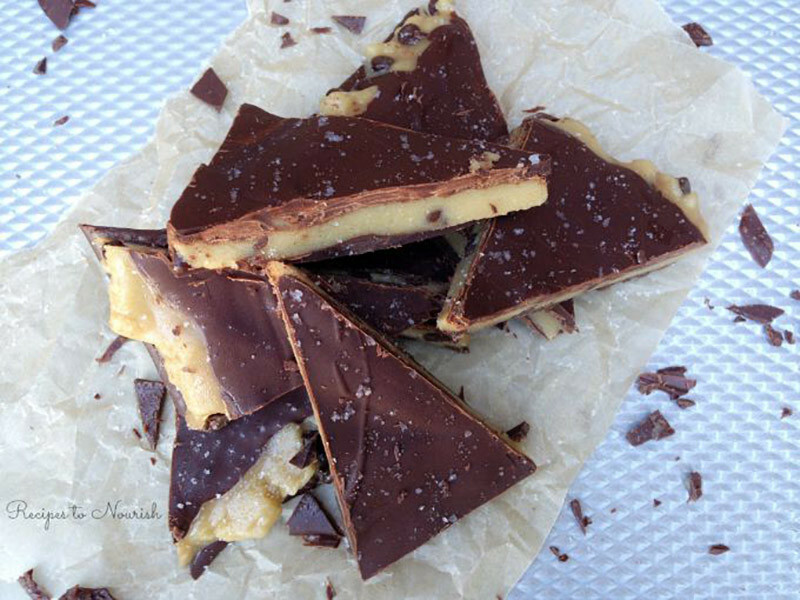 A sweetly addictive cookie dough bark treat. Make this as a plated snack at a Halloween party. 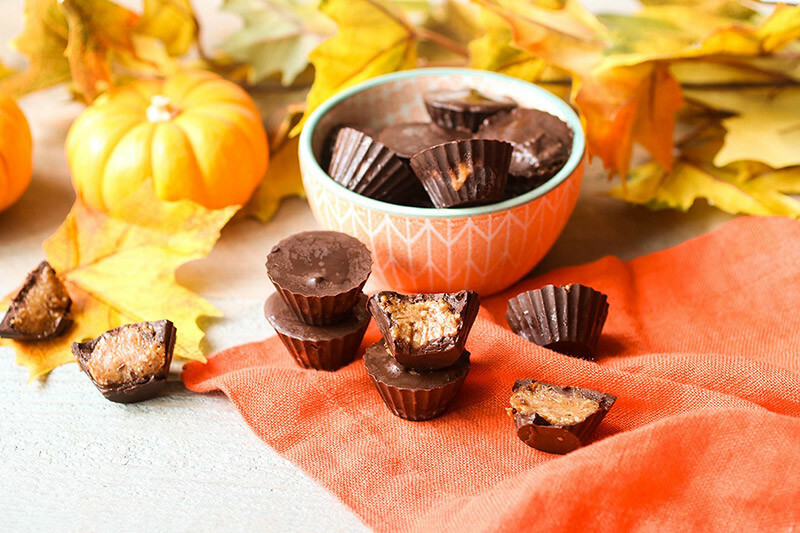 Don’t go without having one of your favorite Halloween chocolates — peanut butter cups! 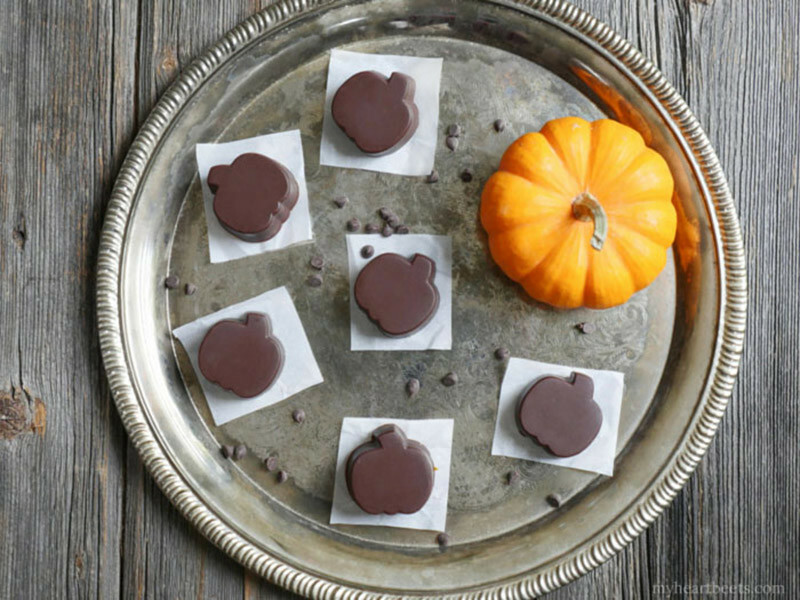 One of the ultimate Halloween treats now has a Paleo-friendly version. 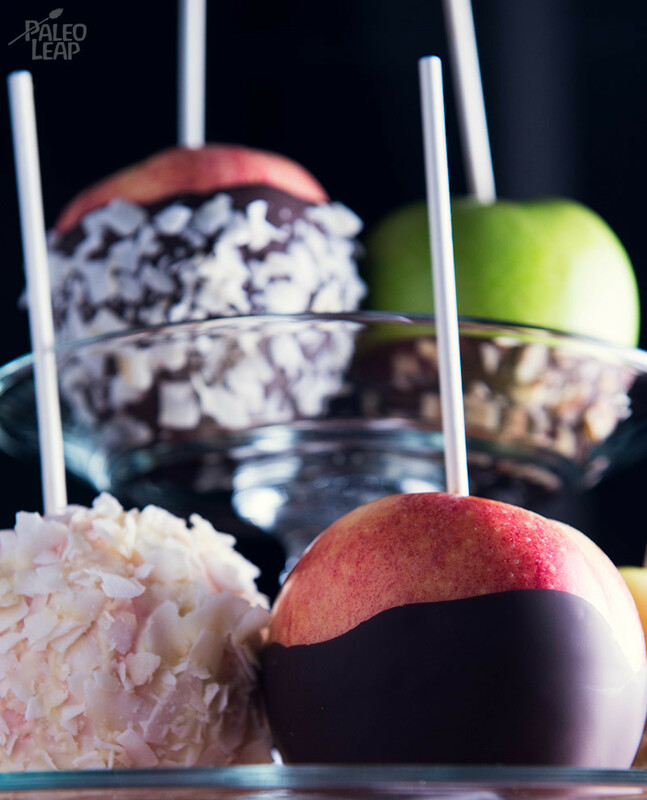 A great match between apples and chocolate. 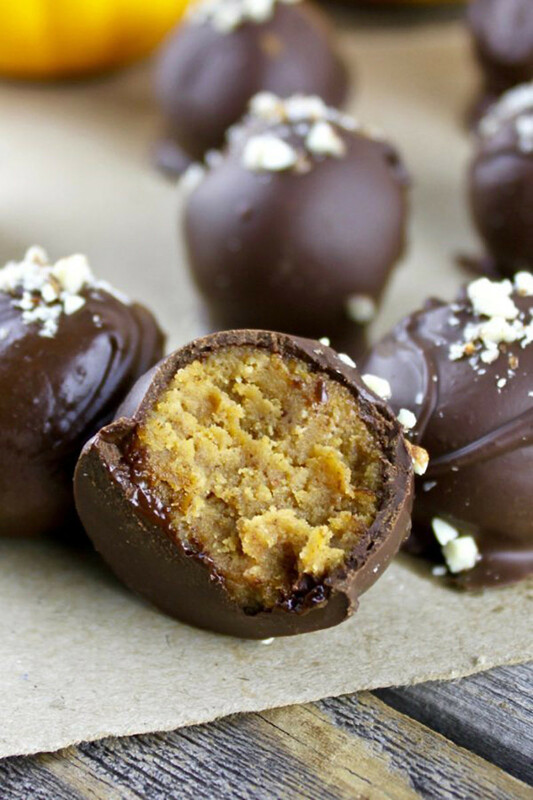 Chocolate covered truffles filled with creamy nut butter, pumpkin pie spice and a hint of maple syrup. 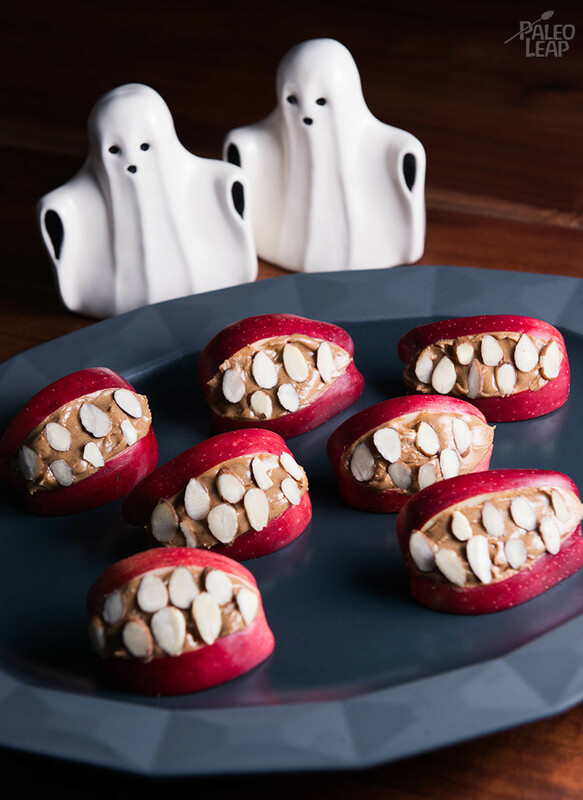 Serve these for a workplace or classroom Halloween party. 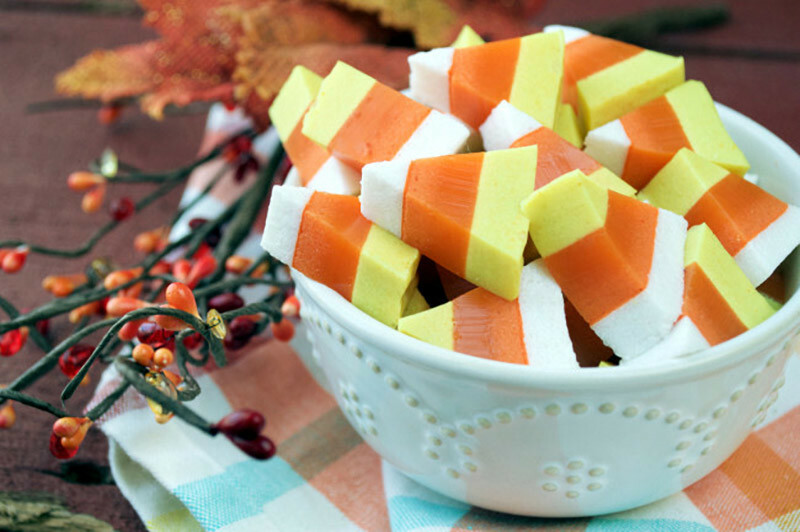 Festive and healthy candy corn gummies! Fill these pumpin cups with pumpkin puree and enjoy! 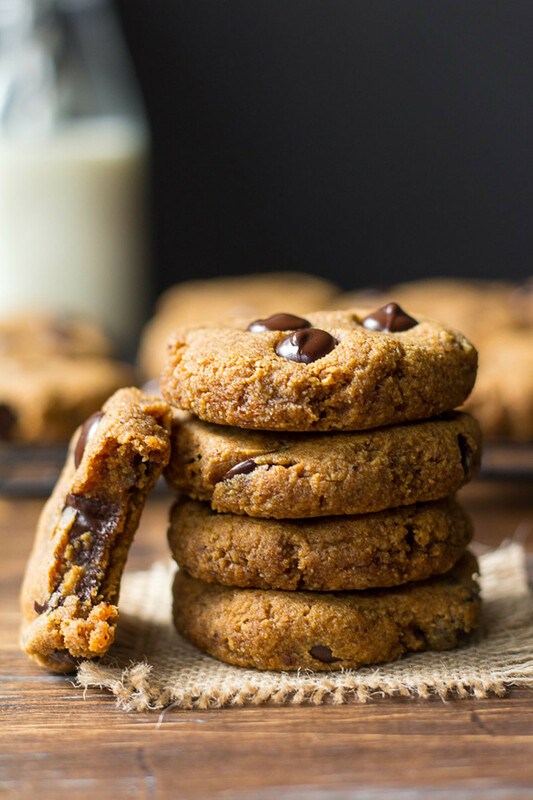 A soft and chewy cookie with hints of pumpkin spice and morsels of chocolate chips. 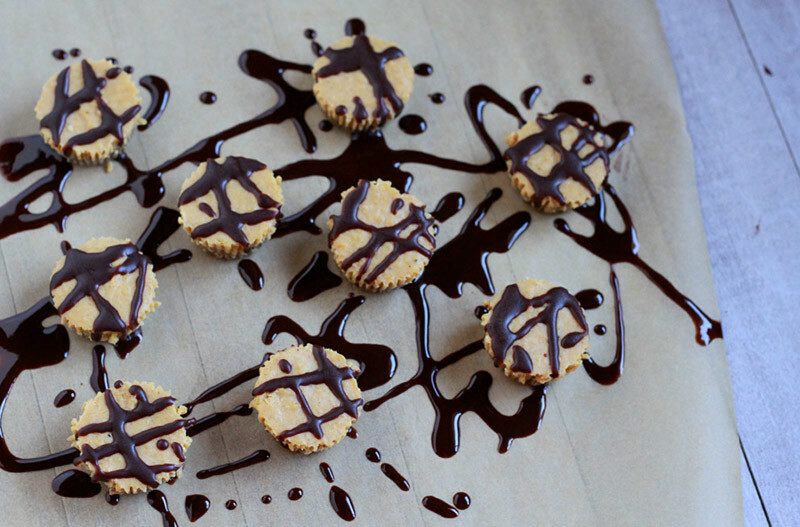 A seriously scary, yet delicious Paleo Halloween treat. These apple creations are ready in no time.